Columbia University Coalition for Sustainable Development (CUCSD) serves as a platform for Columbia University students to develop a unified voice, raise awareness, and take collective action toward social, economic, and environmental sustainability. CUCSD provides its members the opportunity to engage in high-level discussions on sustainable development. We were proud to participate in the United Nations Conference on Climate Change (COP21) in Paris this past December. By attending these forums, members will represent the views of CUCSD in multilateral negotiations, share their work with field experts in sustainable development, mobilize their peers in impacting international policies, and apply these experiences in their academic and professional work. In addition, members will be able to disseminate information and innovations in the field of sustainable development across Columbia University and beyond. CUCSD is open to all members of the Columbia University community. Actively engaging Columbia University students in high-level sustainable development meetings, such as and Rio+20, to encourage, promote, and strengthen their role in sustainable development actions. Enabling students to participate in all the processes leading up to and during Rio+20 by facilitating their attendance through partnerships with UN-accredited groups. Organizing the NY+20 Conference, a local event within a larger global movement called MyCity+20, which will seek to mobilize youth across cities to articulate their positions on thematic issues. The outcome of this event will be a NY+20 Youth Statement that, together with the outcomes of other MyCity+20 events, will be taken to Rio+20. Participating in the US/Canada Citizen’s Summit for Sustainable Development at Yale University, a collaborative event for a broad range of stakeholders in sustainable development, which has generated new knowledge and fostered coherent advocacy to be taken to Rio+20. 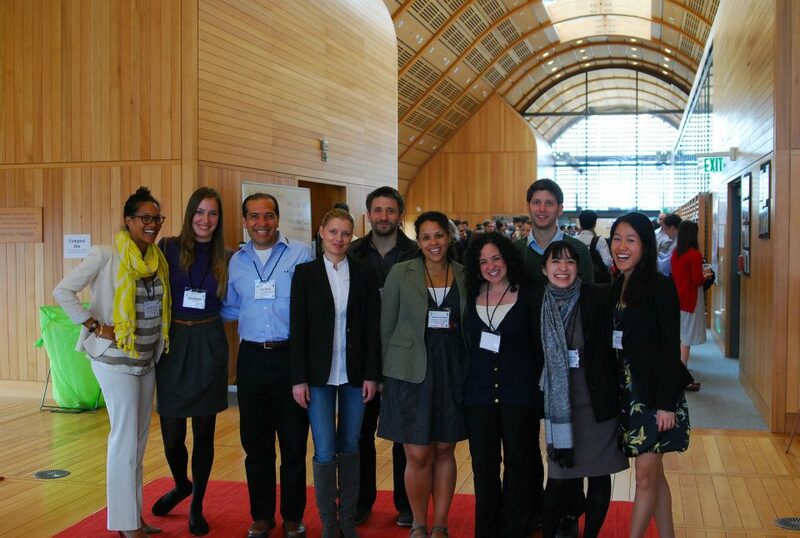 Raising awareness of sustainable development issues among the wider Columbia University community. Promoting and participating in the NY-DC Climate Ride in partnership with the Earth Institute. The Climate Ride is a 300-mile cycling event to raise awareness of a future powered by renewable energy, sustainability, and a green economy while also raising funds for CUCSD. Developing and facilitating a “Beyond Rio+20” discussion panel for students, faculty and interested parties at Columbia University in the Fall of 2012, where members of the delegation can engage with participants and share conference outcomes. Actively seeking and developing partnerships with the full spectrum of interested parties such as SustainUS, The Human Impacts Institute, and the Earth Institute – building synergies, forging cross-sectoral connections and leveraging the potential of the diverse actors working on sustainable development. Dawn Wells has experience in both non-profit and private sectors and has on-going independent research in India, in collaboration with The Ashoka Trust for Research in Ecology and Environment (ATREE). The focus of her study is on the externalities of development in southern India, with an economic valuation of ecosystem services and analysis of hydroelectric energy production. She is interested in systems thinking, particulary the nexus of economics, climate change, and loss of biodiversity and how changes in these variables impact one another. 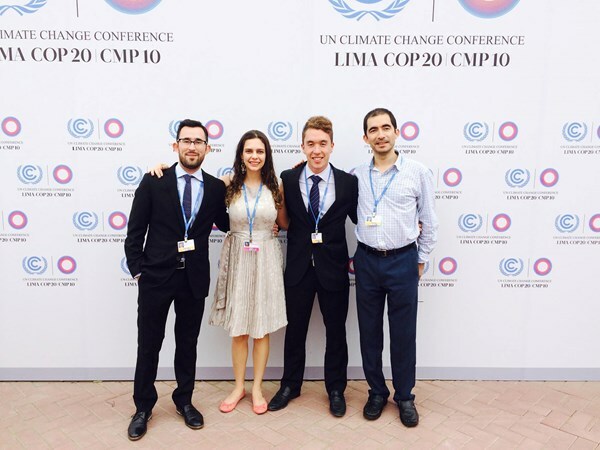 She recently served as a Columbia University Delegate to the UNFCCC COP 20 Conference in Lima, Peru, December 2014. She is also researching the present gender gap in the energy sector for the Center on Global Energy Policy (CGEP), and assisting in the expansion of their Women in Energy (WIE) program to promote efficiency, equality and sustainability. Her past and on-going projects focus on biodiversity preservation via economic solutions to stem the ivory trade, in collaboration with Kenya based NGO Wildlife Direct and New England Complex Systems Institute (NECSI) through a partnership created by the Clinton Global Initiative. She has also served as the New York Co-Chair for The David Sheldrick Wildlife Trust’s global awareness campaign on the ivory trade. Cesar Penafiel has over 17 years of entrepreneurial experience in the engineering, education and service industries. Following seven years of living, working and volunteering in various countries, he started post-graduate education at SIPA concentrating on energy and environment. He is presently a research assistant at the Center on Global Energy Policy assigned to former International Energy Agency Executive Director, Nobuo Tanaka. His research focuses on international cooperation on nuclear technologies that can be quickly scaled up, made safer, proliferation resistant and capable of consuming nuclear waste and weapon stockpiles to generate vast amounts of electricity for an energy rich future for all nations. Cesar believes that the solutions to achieving a zero carbon world in a decade exist, but politics and mistrust of science are preventing us from achieving this goal. Currently a first-year Master of Public Administration (MPA) student specializing in Development Practice, Amanda received her B.S. in Environmental Science and B.A. in Political Science from the University of California Los Angeles (UCLA) with an understanding that effective environmental change cannot be isolated from the larger political system in which it operates. It was in Los Angeles that Amanda got her first taste of community organizing working with the Los Angeles Homeless Services Coalition and was later awakened to the complex interplay of people, the environment, and development status as a student researcher with Conservation International. Inspired to join the Peace Corps, Amanda then served as an agroforestry extension agent in Sénégal from 2011-2013, engaging in and witnessing firsthand the multidisciplinary nature of sustainable development that ultimately led her to pursue her master’s degree at Columbia. This summer, Amanda will be working with the World Agroforestry Center in Nairobi, Kenya as its Policy Innovation Fellow, helping to identify best practices and knowledge needs for future research. While acknowledging the many challenges of sustainable development, Amanda is incredibly optimistic about the opportunities that it presents and excited about collaborating with groups both on campus and off to foster not just a larger discussion around sustainable development, but measurable actions.